We have a new website geared towards our Automotive Service Center. Boccella’s Automotive Performance is a custom speed shop that serves the Montgomery County and surrounding areas. We specialize in installing custom performance parts and doing general automotive work on all makes and models of cars. We deal directly with many distributors such as Turbonetics, Cold Fusion Nitrous, and Mickey Thompson Tires. 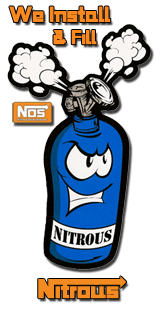 We offer nitrous refills, race fuel and are an official state inspection and emissions station. Boccella’s Performance brings back the ‘old time’ customer service. Michael Boccella is a GM, Ford, and ASE certified mechanic with 34 years experience in all facets of automotive work. Seventeen years ago Michael saw the need in the community for a shop that specialized in selling and installing speed and custom equipment in a professional environment at competitive prices. Taking a chance, Michael started Boccella’s Automotive and Performance Inc. The shop quickly made a name for itself, and with a small but dedicated staff, Michael has built every kind of street and race car for his clients. Specializing in regular and performance work, this diverse shop can handle everything from state and emission inspections, brakes, exhaust systems, to full custom builds, including turbo, nitrous, and supercharged cars. His work has been featured in magazines and on television. Come and see us about what we can do for you to make your plans a reality. Got a stalled project, in over your head? Give us a call, we will work within your budget and time frame to get your ride back on the road!